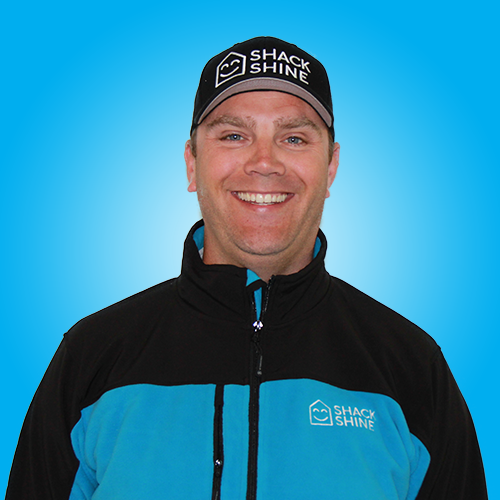 Shack Shine is a trusted, reliable company serving all of Calgary with full exterior house cleaning services. We ensure you always have the shiniest home on the block. You’re busy but our team is ready to help you. 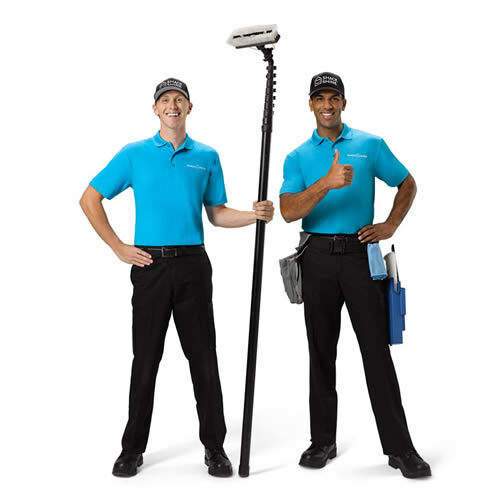 When you call us, we arrive in shiny, organized vans and with friendly, uniformed technicians who are ready to clean every surface of the outside of your home, or just those that you want us to focus on. Best of all, we’ll get it all done in just one detailed visit. We take care of your home so you don’t have to worry about it. Everyone deserves a beautiful view out each one of their windows. To achieve this, we provide the best window cleaning around. Shack Shine provides interior and exterior window cleaning. We even tackle those hard to reach and out of the way windows that are not so easy to get to. We use a system of carbon fiber poles that are water fed to ensure a beautiful level of clean without any of the risk of having to climb on ladders. Even better, you do not even need to be home. Just make sure you close the windows before you leave so we can go to work for you. We’ll leave you with a home so bright, you gotta wear shades! Our house washing services in Calgary ensure your home is always clean. We use only high-quality pressure washing and hand scrubbing to cleanse the exterior of your home. Because we use water-fed carbon fiber poles, there’s no need for a ladder, but your home will look fantastic. We also don’t use any chemicals that are dangerous to the environment. We’re eco-friendly so you can be as well. Our Calgary house detailing aims to create a shiny home every time. Your home will love you! Gutter cleaning is critical for all properties. It helps ensure water flows away from the home’s foundation where it could potentially enter and cause damage and leaks. We use a high-pressure vacuum attached to a large canister to properly remove all of the leaves and debris that commonly accumulate there. We rinse them out to ensure they are moving well. And, we even wipe down the outside to ensure that your home looks fabulous. No one wants to clean the gutters and stand on a hobby ladder to do it. With Shack Shine you never have to think twice about it! Roof cleaning is an important investment in your home’s roofing system and overall structural integrity. Our team uses advanced systems to properly cleanse the roof of debris, mold, and mildew buildup. Roof cleaning helps ensure the shingles are not worn too early and makes sure that your roof doesn’t have streaking that’s so common due to the area’s weather conditions. Our roof cleaning services help you to stay off the ladder and roof, safe and secure in your home while our trusted technicians go to work scrubbing any debris off in a safe manner. Power washing is a safe and efficient way of cleaning most horizontal surfaces around the exterior of your home. It’s great for cleaning decks and patios! We also can use it to cleanse driveways and walkways. This method does not use any type of chemical, but it does remove all of the grime and debris that’s often packed into these surfaces. With this method, we can remove this without any damage to your surface. In Calgary house detailing like this makes your home stand out. Shining home, smiling family. Pressure washing is another efficient and environmentally friendly way of cleansing a variety of exterior surfaces. Let our experienced technicians go to work for you removing all of that caked on debris and other buildup from the exterior of your home or other surfaces. This method uses only high pressure without the use of chemicals to create that beautiful level of clean you are looking for. Restore the look and feel of your home to a like-new condition. The holiday season is just around the corner. It is time to start thinking about how to get your home ready for the season. 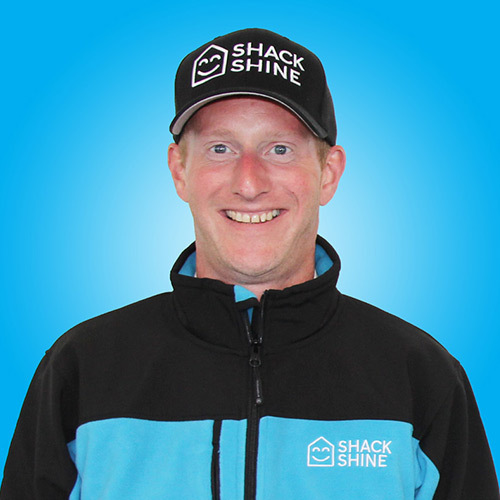 Our Shack Shine technicians are ready to help you transform your home, making it shine the brightest this Christmas. We offer commercial grade lights that are energy efficient, longer lasting and shines brighter—nothing like the ordinary big box store lights! We make maintenance hassle-free. If a light burns out, we will return to fix it. At the end of the season, we’ll even come back and take down the lights and store its away neatly for easy installation next year. I am a lifelong entrepreneur and have run a few businesses in my past. I am also an avid player and fan of hockey, football, and golf. (Go Flames and Stampeders!) I have been an active member of the community through the Junior Chamber of Commerce and served as the organization’s Canadian president in 2011. I began my entrepreneur journey in 2008, and have owned an operated several businesses in the last 10+ years. Although each business focused on unique industries and tasks, an unwavering commitment to exceeding my customer’s expectations, and creating exceptional workplace culture for my team members has helped me succeed. I am married with 2 young boys and fill most of my downtime running from kids hockey to baseball, and everything else that kids get up to these days. My wife and I enjoy travelling when we are able to find the time and are both actively involved with an advisory committee and volunteering opportunities at our son’s school. I am excited to have found an opportunity to partner with a company that shares so many of my core values and a commitment to exceptional work ethic and customer service.